When do you collaborate and when do you lead? On 7 May 1429, Joan of Arc led 1,500 French soldiers on an assault lifting the six-month siege of Orléans and fulfilling her prophesy to King Charles VII she would deliver victory to the French. This battle became the turning point in the Hundred Years’ War. Though another 22 years of fighting would ensue before the English were driven from France, this long-running conflict and Joan’s remarkable life offer three lessons for today’s leaders. The Hundred Years’ War entangled five generations of kings fighting for the throne of Western Europe’s largest kingdom from 1337 to 1453. Seeds of conflict were sown in 1328 when Charles IV of France died, leaving no male heirs. The French, preferring a fellow countryman as their ruler, named Philip VI, a cousin of Charles, their king. Edward III, son of Charles’ sister Isabella, proclaimed himself the rightful king and in 1337 declared war on France. Western Europe’s longest, bloodiest and costliest conflict began as a family feud. The combination of continuous conflict and the Bubonic plague decimated Western Europe’s population. France lost half its population during the Hundred Years’ War with Normandy losing three-quarters of its population and Paris two-thirds. One-third of England’s population perished. Where in our organization—whether we’re a family business or a group of hired professionals—must I set aside rivalry, personal preferences and pettiness to ensure the long-term health and success of the enterprise? Significant English victories during the war—most notably at Crécy, Poitiers, and Agincourt—changed the way battles were fought and fueled predictions the English ultimately would defeat the French. Chivalry died on the battlefield of Agincourt in October 1415 as France’s greatest knights led 36,000 men to their annihilation by an English army numbering 6,000 men equipped with longbows. By 1424, France was divided: Burgundians aligned themselves with the invaders and against the Armagnacs. English victories continued. 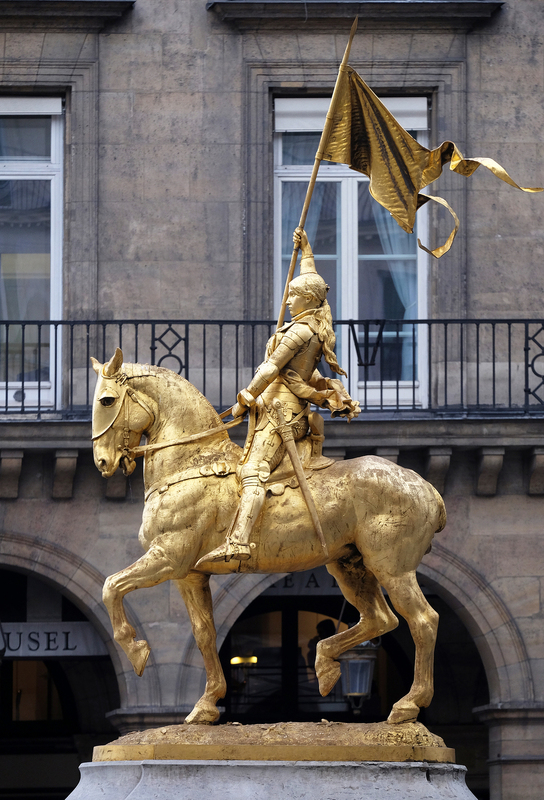 In 1429, eleven days after another English victory at Rouvray, Joan of Arc concluded her 270-mile journey through enemy territory by delivering a message from God: If Charles would give her an army, she would drive the English from France. That a peasant girl in her teens believed she could accomplish what seasoned soldiers had not was incredible. But the Armagnacs, facing destruction, were desperate. Following a series of tests by scholars, clergy and wives of two noblemen, Joan’s “goodness, humility, virginity, piety, integrity and simplicity” were affirmed. If Joan the Maid was sent by God, what sign would she give doubters? Once at Orléans, Joan’s generals recommended a series of cautious skirmishes. Joan would have none of this. Her plan was bolder. On May 4, Joan led the French assault. With failure expected, could victory represent a sign from God? There’s a time for collaboration and coaching, and there’s a time for a mandate. How do I balance asking and telling, and when do I decide which leadership style is required? On the afternoon of May 4, Joan’s army captured the fortress of Saint Loup. The next day Joan led a march to Saint-Jean-le-Blanc, finding it deserted. On May 6, Joan’s army captured a fortress built around a monastery called Les Augustins. Joan was wounded and was asked to sit out the final assault on the Boulevart-Tourelles. She refused. May 7 was a day of fruitless bombardment. As evening approached, some commanders recommended delaying the final assault until morning. Informed of the decision, Joan called for her horse and rode off to pray, then returned to the camp, grabbed a ladder and launched the frontal assault, inspiring her troops, “All is yours – go in!” French soldiers rushed after her. For the next year, Joan led the Armagnacs in victories over the English. But on 23 May 1430, while attacking a Burgundian camp north of Compiègne, she was ambushed and captured. Her trial, designed for maximum embarrassment to the Armagnacs, was a farce. Despite attempts to trick and trap an illiterate peasant, Joan’s unshakeable faith guided her answers, astonishing the court. On 30 May 1431—two years after her victory at Orléans—Joan was burned at the stake. She was 19 years old. In 1453, the English were driven from France as Joan foretold. What gives me a sense of certainty? Joan’s fiery death could not extinguish the flame she lit in the hearts of her countrymen. In 1909 Joan was beatified; in 1920 she was canonized as a saint. Every May 30, the Festival of Saint Joan reminds us that purposeful leadership transcends position, age and gender.